Today was Day #14 of Chocolate and Peanuts Theme Week(s). 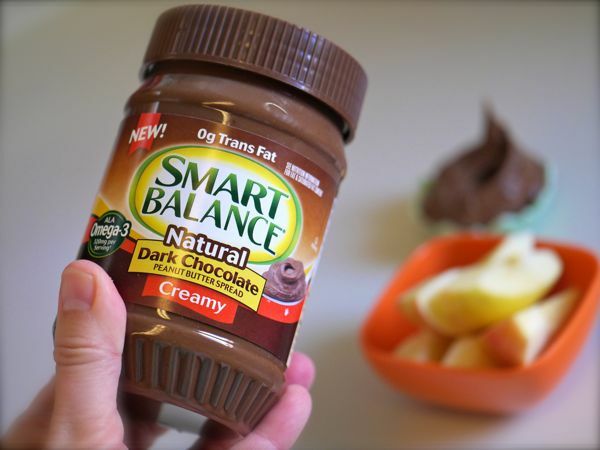 Ingredients that are included, or excluded, often have special appeal to consumers. I look for gluten free chocolate items; and I prefer fewer additives and ingredients on labels in general. 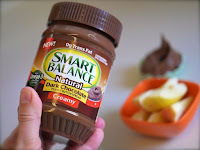 This Smart Balance Dark Chocolate Peanut Butter Spread was lactose-free, vegan and non-GMO—and certified gluten free. On the "fat" front, this spread was made with palm fruit, flaxseed and peanut oils—without trans fats (hydrogenated oils), and contained 320 mg. of ALA Omega-3 per (2 TB) serving. 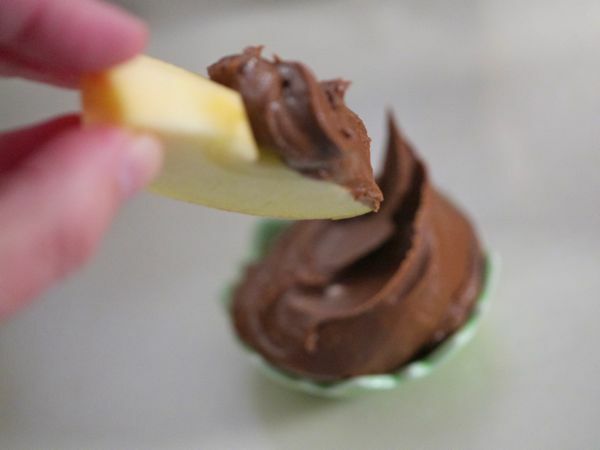 I used this spread as a dip for fresh fruit (apple sections). 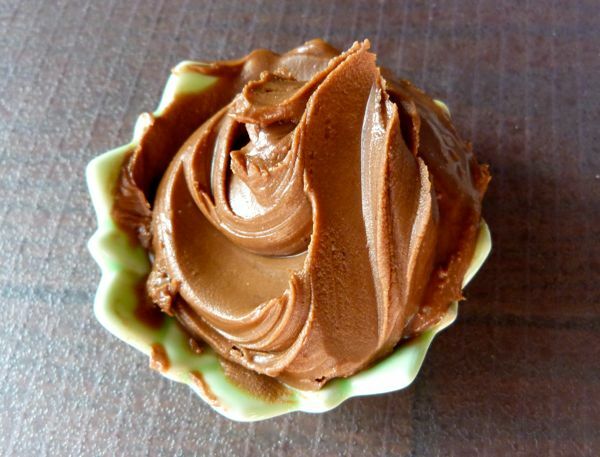 It might also work as a spread on crepes or baked goods (between cake layers or cookies perhaps); or it could be stirred into vanilla or chocolate ice cream.